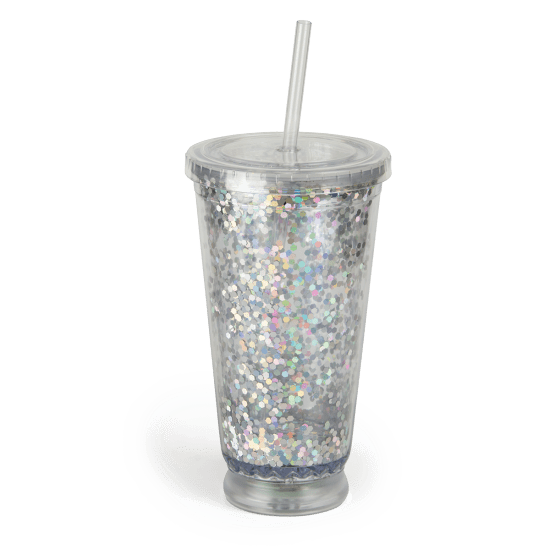 Our light-up glitter cup with straw is like your own mini disco! It's definitely the coolest cup you'll ever own. Double walled with glitter, one push of a button turns on flashing lights and transforms your day into a party.